Click here to go to page 1 of the gluten free diet travel page. 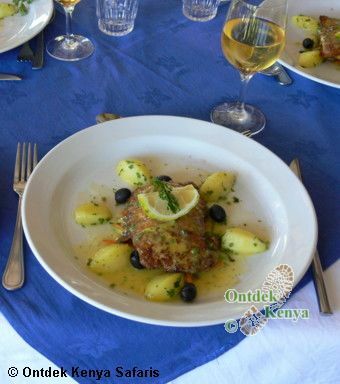 Going to the gluten free diet specifics: on Kenya vacations expect healthy and wholesome recipes that use seasonal vegetables that are grown by small scale farmers. The list of gluten free carbohydrates are potatoes, rice, sweet potatoes, pumpkins, arrow roots or cassava. Fruits obviously should form a large part of your gluten free travel diet and the easily available fruits in Kenya are: bananas, papayas, pineapples, mangoes, passion fruits among others. On the protein food list you have legumes, eggs, white to red meat and dairy products. How about the cooking skills for your gluten free recipes? Kenya is a melting pot of cooking cultures: the African, Swahili, Asian, Indian and European – so be ready to go on a culinary journey with experienced chefs. Finally, do you need to break the bank for your gluten free travel? Certainly not, our pricing policy is non- discriminatory. Our prices are a true value for the trip and they include all tour related ground costs with no hidden “local payments” when you arrive in Kenya. So if you are a celiac, now is the time to take your vacation to Kenya knowing you have someone right on the ground co-coordinating your safari in a way that your gluten free diet is given top priority. Ontdek will keep you away from mass tourism on soft walking safaris, bird watching holidays and wildlife holidays that you possibly never considered possible for a celiac. See the itineraries and prices of our gluten-free walking tour / safari for coeliac patients in Kenya in 2019.